Every clinician and staff member here at Vital Kids Medicine is committed to your family’s experience at the clinic. We understand that meeting your health care needs is more than just about delivering your medical treatment; it is also about feeling cared for and supported during the process of getting your medical needs addressed. It is important to all of us that each and every one that comes to Vital Kids gets the help they need in managing all aspects of their health care delivery. 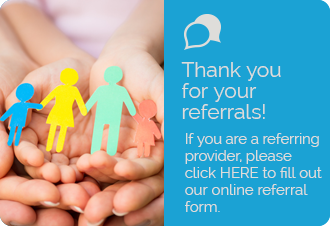 Whether it is help navigating your insurance benefits, getting appropriate referrals to other providers, or lending a listening ear, the team members of Vital Kids Medicine are here for you! Here at Vital Kids Medicine we strongly believe in the team care approach. 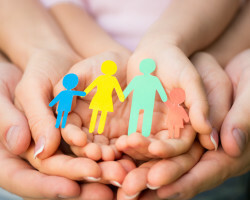 What does that mean for your child’s care? We are proud to serve as an accredited residency site through Bastyr University. Having a residency program enables us to train future physicians while expanding our care options and appointment availability. This team care approach incorporates the long standing clinical experience of Dr. Gbedawo with the energy and enthusiasm of resident physicians, providing well rounded health care options. Our residents are fully trained and licensed physicians and we are confident in their participation and management of patient care. Please be aware that this means you may be seen by our resident physicians for your initial intake and/ or follow up visits. Be assured that Dr. Gbedawo oversees all of the care at Vital Kids Medicine and all cases are discussed and reviewed by her personally. If you have any questions regarding the residency program here at Vital Kids, please don’t hesitate in asking. As part of our comprehensive, team care approach, we utilize the expertise of a clinical nutritionist for all of our incoming patients. This means that your first visit is comprised of two appointments. The first appointment is with the naturopathic clinical team, Dr. Gbedawo and her current resident physician. The second appointment is for a comprehensive evaluation from our clinical nutritionist. This allows us to have a thorough evaluation of symptoms and clinical presentation and then additionally to have a complete understanding of diet and nutrition, which is a core value at Vital Kids; we need these baseline values to determine eligibility for special diets and to evaluate for caloric intake, and nutrient deficiencies. Many families choose to continue with clinical nutrition support, including meal plans, grocery store tours and additional guidance through specialized diet therapy. If you have additional questions regarding the nutrition components of your visits, please feel free to ask! Thank youfor your interest in Vital Kids Medicine, and Welcome to the Family!